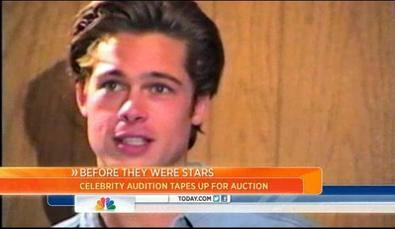 A planned auction of celebrity actor audition tapes scheduled to take place this week in Beverly Hills will not go forward. A representative for Jane Jenkins and Janet Hirshenson, the two casting directors who had planned to sell 54 VHS tapes of early-career auditions by actors such as Brad Pitt and Sandra Bullock, confirmed to Backstage that the tapes have been withrawn from the auction and will instead be donated to the Academy of Motion Picture Arts and Sciences. "I got an email this morning from Janet and Jane saying that there's a big hoopla over this and that they're going to give it to the Academy," said Darryl Marshak of Marshak/Zachary management company. "The Academy now is the keeper of the tapes, and anyone in there can go in and look at them. They're for the whole world to see once they're at the Academy library." Martin Nolan, executive director of Julian's Auctions, which had planned to offer the tapes in an auction April 5 and 6, also confirmed that the tapes would not be sold. "At the request of the consigners, in an effort to preserve realtionships with the actors and actresses involved, we have agreed to not auction the 12 lots of the audition tapes," Nolan said. The decision by Jenkins and Hirshenson to sell the tapes had drawn criticism from many professionals within the casting community and condemnation from the Casting Society of America. SAG-AFTRA issued an emailed statement regarding the controversy. "Auditions are not public performances, and under SAG-AFTRA collective bargaining agreements performers are entitled to expect them to remain private," wrote SAG-AFTRA general counsel Duncan Crabtree-Ireland. "SAG-AFTRA, on behalf of our members, has requested that Julien's Auctions discontinue the sale of these private tapes, and they have agreed to do so immediately."